Scratch Mods These are all the know Scratch Mods around. If you know one that isn't here submit it. The original Scratch project by MIT. Without this, these mods wouldn't exist. Arguably the best Scratch Mod around. 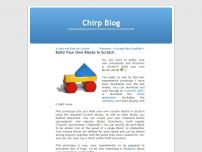 Have fun building your own blocks. Another Good Scratch Mod. 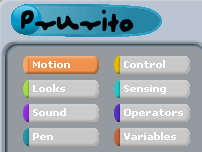 Has many new Blocks and aims to provide advanced usage for Scratch users. 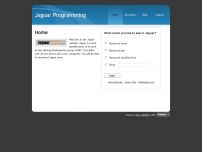 Jaguar has over 20 new blocks and 4 new categories. This one was made by LS97. 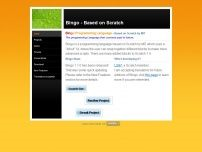 It has 61 new or different blocks, two new categories, an 'open' shortcut button, a 'last opened file' button, full compatibility with Scratch 1.4, minor skin changes, Mesh enabled and includes a Bingo2Exe compiler for free. Peck was made by henley. It has 4 new categories, 91 New Blocks, saturation, blur, and pointilize effects, new graphics, and ALL of the obsolete blocks.